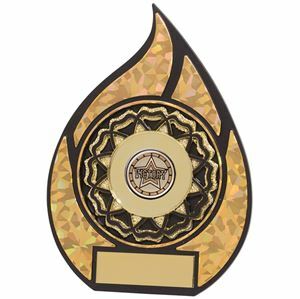 At Impact Trophies & Medals, we offer a huge range of logo insert trophies, medals and awards suited to any event or competition. 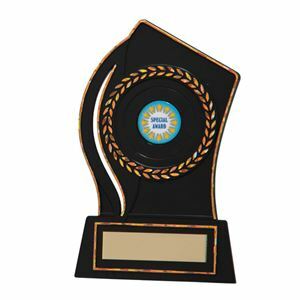 Our extensive range includes logo insert figure top trophies, trophy cups with your logo and shields & plaques with logo inserts. Impact Trophies & Medals are a leading retailer of logo insert trophies & awards'. Great for personalisation, many of our logo insert trophies and awards can be personalised with a free self adhesive engraved text plate as well as your printed logo inserts, to perfectly meet all of your presentation needs. 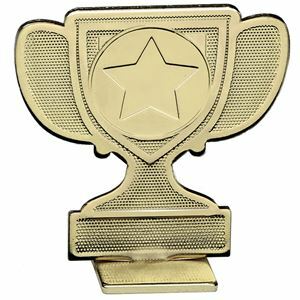 The Rising Star Football Trophy has an animated little footballer running with his ball and stands on a small rectangular base. 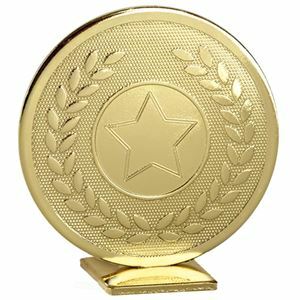 The trophy is made from premium plastic which is coated in an antique bronze high sheen glaze and is an extremely cost effective item for your awards event.